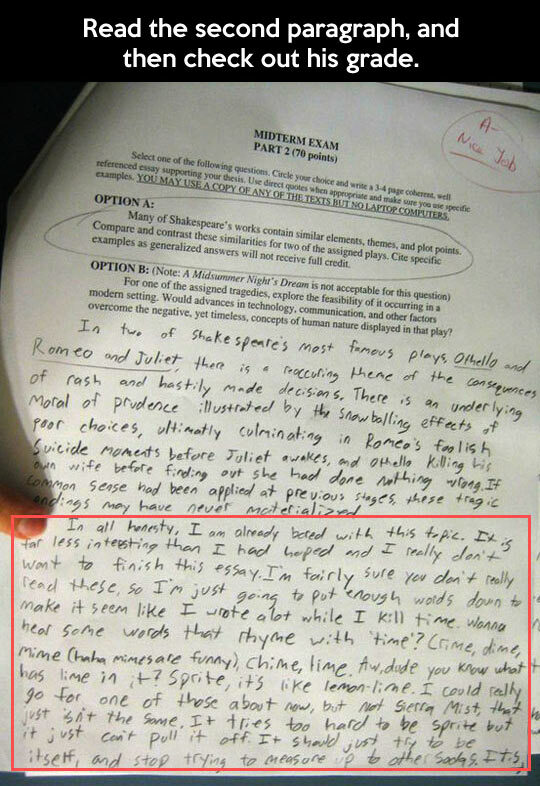 Read the second paragraph and look at the grade. I understand that teachers have time restraints but Oh My Gosh. Actually, this is how a lot of people get through school. They’re able to read the teacher and parrot back the responses they know the teacher is looking for in order to get a good grade. Also, this makes me think of my college boyfriend. When he was student teaching, he would have me read the papers he would assign. If they filled the page, he’d give them an ‘A’ because he didn’t care. He might have even assigned this paper.